One of the things I love about outdoor play is how simple it can be. You don’t need any fancy equipment to get kids enjoying their time outside. This week the girls and I were out doing a few errands, as we set off for our walk home we decided to turn our ordinary walk home into a colour hunt. What is a colour hunt? 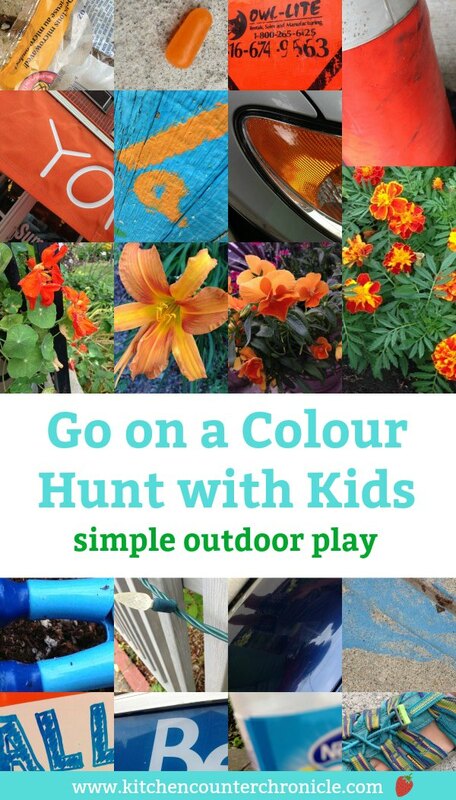 A colour hunt is a fun way to educate and engage children outdoors. As we set out on our colour hunt I asked each of my daughters to choose a colour. They chose blue and orange. 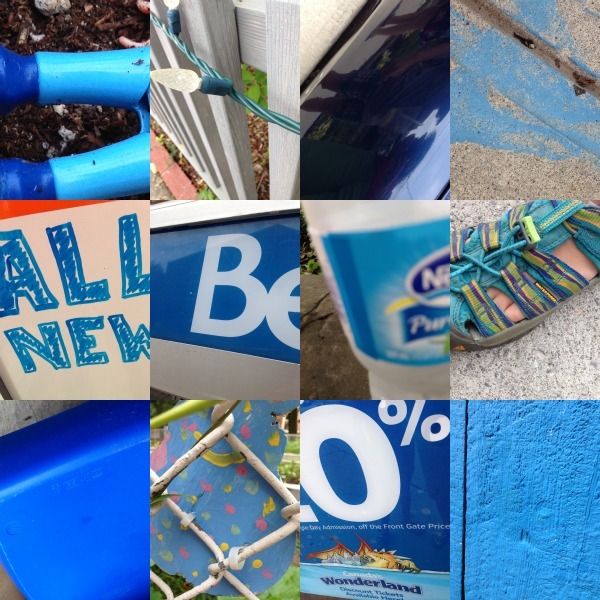 Once the colour was chosen we went searching for anything and everything blue and orange on our walk home. 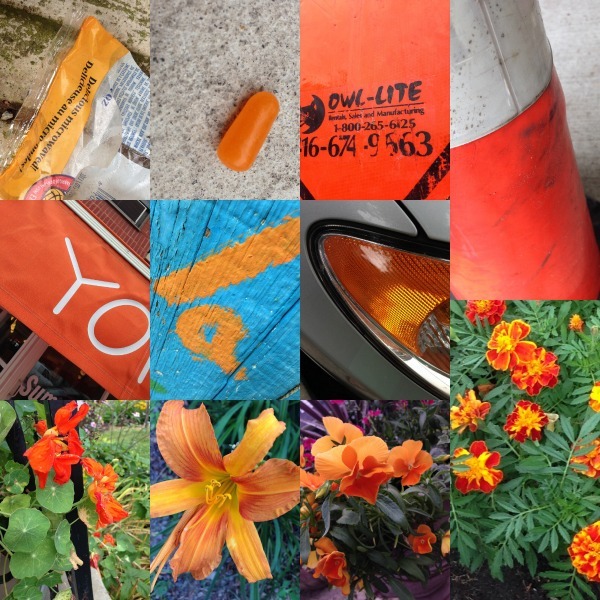 Since I had my phone/camera with me it was easy to click pictures of all the blue and orange things we found along the way. If you don’t have a camera kids can draw the items they find or even collect colourful items. Whatever works. What colours will your kids search for? 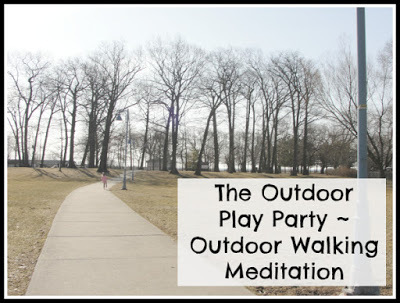 Looking for more fun ideas for your next walk with the kids? Head outside on a listening walk? Let your kids’ ears guide them and discover the sounds in your neighbourhood. 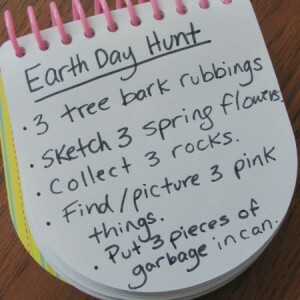 Turn your next walk into a fun scavenger hunt with this free printable scavenger hunt. We’ve done the same thing, only in the car. We will look for things of a certain color to help our preschoolers learn their colors. We will have to do it when we are walking outside, it sounds like a great activity! Yep, makes a great car game too. 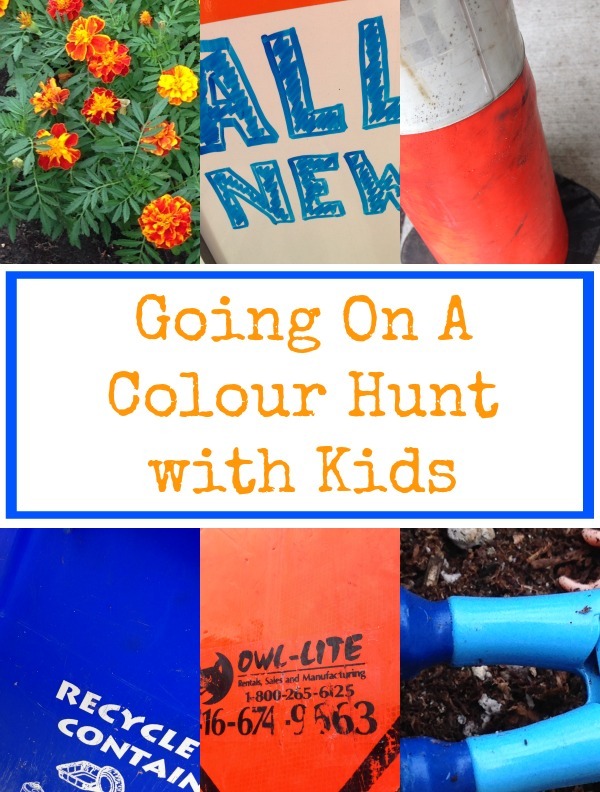 The color hunt activity looks like so much fun! Thanks for featuring our Shredded Paper Duck Hunt. Love the colour hunt – such beautiful pictures. I know, I love how the collage looks. Thanks. Lovely simple idea Jen. Love your photo collages too.